Disclaimer: I was sent a free copy of this book for review purposes. However all thoughts, opinions, and criticisms are my own. 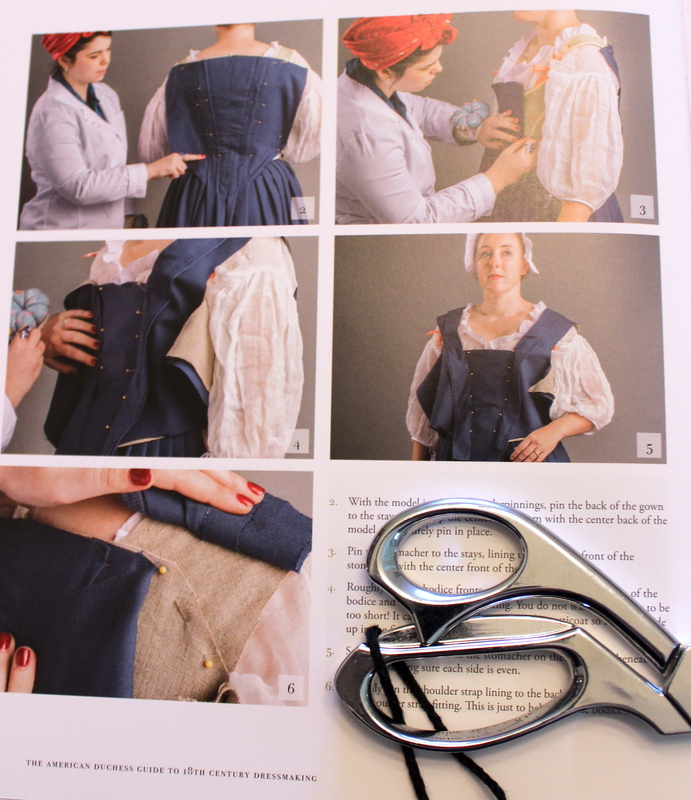 Back when the internet was young, there was only a handful of books and websites to turn to if you had an interest in sewing 18th century clothing. Janet Arnold and Norah Waugh were hard to come by. I waited weeks for a costume book to arrive by an interlibrary loan only to be intimidated when I finally had it in hand. They were not beginner friendly books — and I was very much a beginner. Lauren Stowell and Abby Cox’s book would have helped me make sense of the diagrams and grids much sooner. The book is robust, clocking in at 240 pages but also lean, there is no filler or fluff. 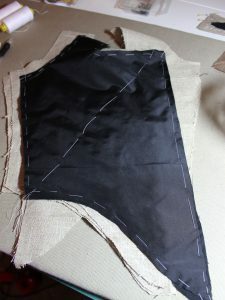 It is laid out in a logical order starting with how to use the lining patterns and a list of the steps to fit your mockup. 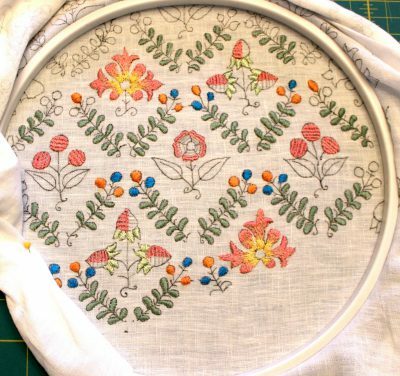 That is quickly followed by easy to understand diagrams of all the hand sewing stitches you will need, along with some extra information on where they were used and why. The section for each gown starts with a short paragraph on the style of gown, under that is a highlighted list of materials. Fabric amount, fabric type and fabric thread and weight. 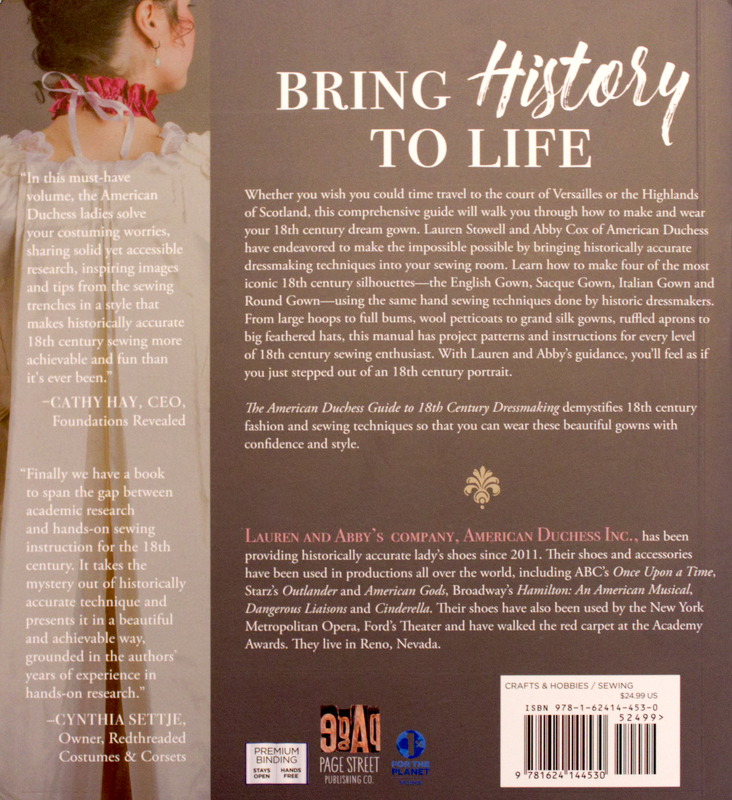 What follows are instructions for the pieces of each gown, be it petticoat or stomacher, hoops or rump (The book does not cover stays –which could be a seven-volume book, nor does it cover shifts. ) before getting to the gown itself. This is a wise choice, giving the sewer a chance to build up their hand sewing practice a little at a time as there may be new techniques and stitch choices. My favorite part, which sends my textile geek heart aflutter is the suggestion of how many stitches per inch to aim for. Thank you for including that, it is something I’ve long wished for in Arnold’s books. The instructions themselves are clear. I have yet to work through the book making a gown but in my reading, I was able to follow most of what was going on. Sometimes no matter how good the photos and detailed the text you just need to have the fabric in front of you. The patterns are on a gridded background with a scale block included, so you can size the image up using photoshop or a copier with ease. Frills and Furbelows also known as do you want to be a cupcake? 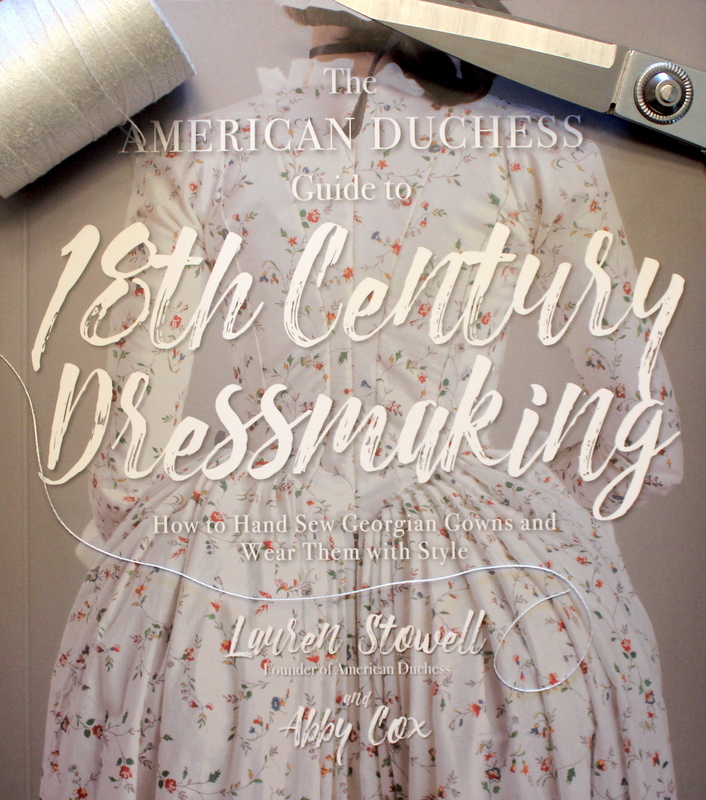 The 4 gowns aside the book also covers the most important aspect of 18th century costume: Trim and accessories. Within each gown “decade” There are instructions and more lovely photos on what type of cap, hat, apron, mitt, purse, bow or trim to make to complete your outfit. It offers a plethora of items that you can use to dress things up or down and includes sewing with lace and fine organza fabrics. I do not doubt the skills shown in these sections are transferable to other areas of costuming as well. There are also detailed sections on getting dressed. Step by step, layer by layer of stays petticoats hoops and more. 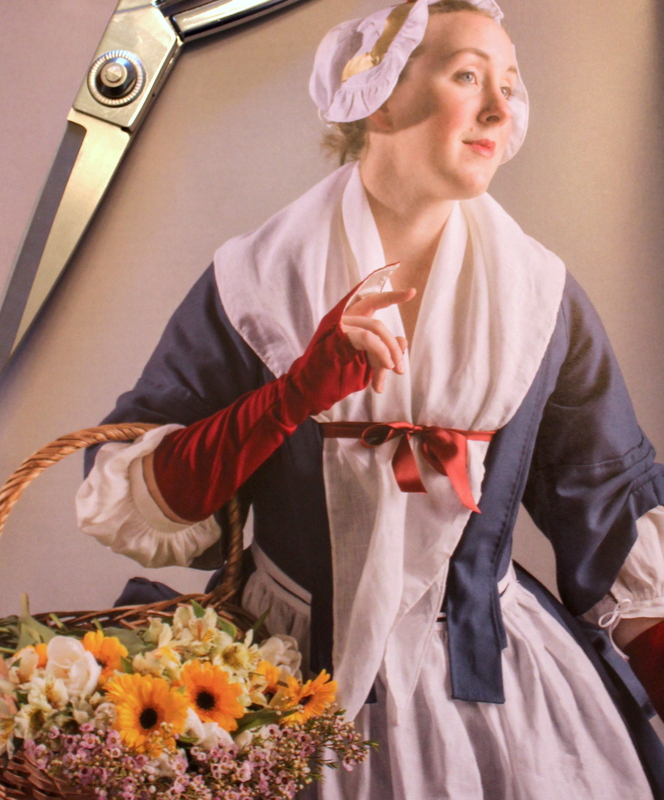 I’ve made costumes for friends and often have gotten texts asking “How do I put this on again?” The visual reference is a great guide to someone new to the 18th century. Finally, near the end of the book there is a section on troubleshooting. It is made up of illustrations highlighting fitting issues and an explanation on how to fix them. Throughout the book I keep looking for this section and was happy to see it, but there is a part of me that wants to put it in the front where it is easier to find. I do wish the book went into more depth on appropriate colors and fabric patterns. I understand this is a wide pool that shifted and changed throughout the era. 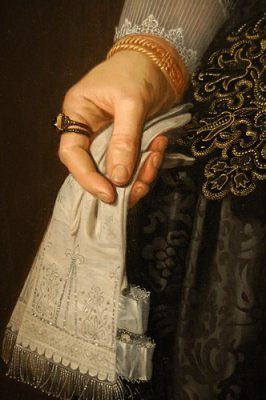 But having a page or two of fabric examples would help train the eye. I would set this book at a skill level of intermediate to advanced. A beginner could use this book with some extra guidance from an experienced sewing buddy, some may find the hand sewing focus intimidating. I have poked my toes into the 18th century dress making a few times, once as a beginner sewer and a few times later which resulted in a pile of unfinished projects. 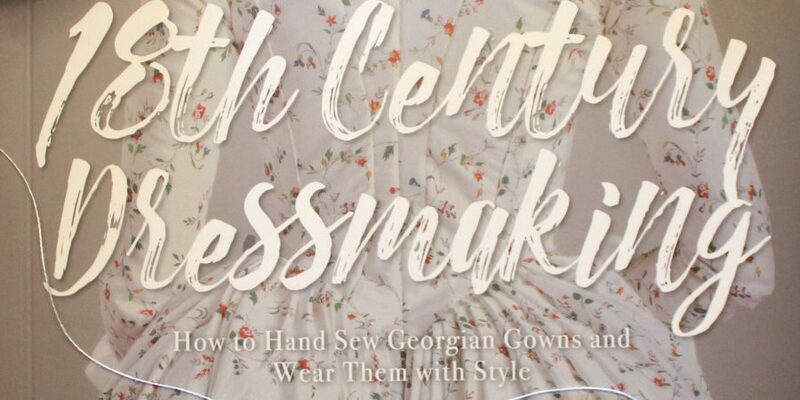 The 18th century is not my usual area, but this book makes me want to turn the pile of striped silk I’ve been hoarding into something fabulous. Buy The American Duchess Guide to 18th Century Dressmaking: How to Hand Sew Georgian Gowns and Wear Them With Style by Lauren Stowell and Abby Cox from Amazon.